The customary volleys were not fired over his grave because the sound of a single shot would have greatly disturbed the friendly Indians and might easily have caused trouble. B Troop at Wounded Knee lost six soldiers killed in action or died of wounds on the field of battle. Five more wounded soldiers from Captain Charles A. Varnum‘s troop were evacuated back to the Pine Ridge Agency for treatment. At least one of those five was too critical to be moved onto Fort Riley by train. According to Captain Varnum’s entry in the B Troop muster roll, Private Harry B. Stone suffered a gun shot wound to his left arm likely during the initial fight around the council circle. Apparently his wound became infected, as two weeks after the battle army surgeons determined that the only hope of saving the trooper was to remove the gangrenous arm. Correspondent William F. Kelley, of the Nebraska State Journal, reported the results, “It was decided to amputate his arm last evening and he died very soon after the operation was performed.” Just over nineteen years of age, Stone was the youngest casualty of that winter campaign. The following day he was buried along side his other fallen comrades at the growing cemetery at the Episcopal Church. A newspaper article in Nation’s capital detailed the young cavalry soldier’s funeral. U.S. Military Burial Registry for Pine Ridge Agency Cemetery, South Dakota. The military funeral here has been divested of all its distinctive features by the disturbed condition of affairs. Private Stone of troop B, Seventh cavalry, died the other evening from the effects of a shoulder wound received in the Wounded Knee fight. Ordinarily the dead trooper’s horse, fully equipped, and with his late rider’s boots in the stirrups, would have been a feature in the cavalcade, but it was not so on this occasion. It was not the time to mourn, it was the time to fight. The body was encoffined and placed in a wagon, and behind this rode a battalion of the Seventh–troops A, B, I and K. A Sioux clergyman, the Rev. Mr. Cook of the Protestant Episcopal Church, read the burial service, and then the body was laid away in a little cemetery without further ceremony. The customary volleys were not fired over his grave because the sound of a single shot would have greatly disturbed the friendly Indians and might easily have caused trouble. Born on 20 November 1871 at Monterey, Michigan, Harry B. Stone was the youngest of four boys. His father, Gilbert Marcus Stone, was an early settler in the Allegan county area having moved there as a young man from his native Avon, Ohio. During the Civil War, the elder Stone served in Captain Pritchard’s Company L, 4th Michigan Cavalry, participating in battles around Murfreesboro, Chattanooga, Nashville, and Atlanta. He served from August 1862 to July 1865 and languished for a time in a confederate prison in Alabama where he was captured while recuperating in a Luverne hospital. Following the war, he returned to his family in Allegan county. Gilbert Stone was twice married, first to Adeline Lucas in 1850 by whom he had one daughter, Mrs. Mary Elizabeth Hoffmaster. Adeline died in 1852 just three months after their daughter was born. Four years later Gilbert married Mabelia Miller with whom he had five children, four boys and two girls: the eldest son, Horton, was born in 1857 and died at the age of twenty-seven; a daughter, Mrs. Carrie Alyda McBride, was born in 1859 and died in 1933; the second son, Earl Dwight, was born in 1862 and died in 1946; the third son was Walter Heartland, born 1869 and died in 1964; Harry, the subject of this post, was born in 1871 and died in 1891; the youngest child was Mrs. Ruby Violet Leggett, born in 1876 and died at the age of ninety. Gilbert Stone died in 1912 at the age of eighty-two and his wife, Mabelia, died five years later. Perhaps inspired by his father’s cavalry service during the Civil War, Harry Stone traveled to Lansing in April 1890 where he enlisted for five years. Stone was eighteen at the time, but indicated that he was twenty-one so as to avoid the requirement for a parent’s permission to join the army. His recruiting officer, Captain Nowlan of the 7th Cavalry, annotated that Stone was five feet six and three quarters inches in height, had blue eyes, light brown hair, and a florid complexion. Whether influenced by his father’s service or his recruiting officer, Stone entered the cavalry and was assigned to B Troop of the 7th Regiment. He joined the organization just months before deploying to South Dakota for the fateful campaign on which he lost his life. Two years after his death, Stone’s older brother, Walter, named his first born son after the child’s fallen uncle. Private Harry B. Stone’s remains were removed from the Pine Ridge Agency, along with twenty-nine other cavalry soldiers, in October 1906 and transported to Fort Riley where they were re-interred in the post cemetery. Private Harry B. 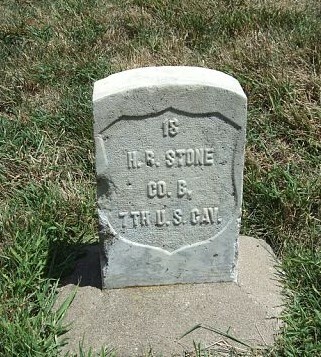 Stone is buried in the Fort Riley Post Cemetery. 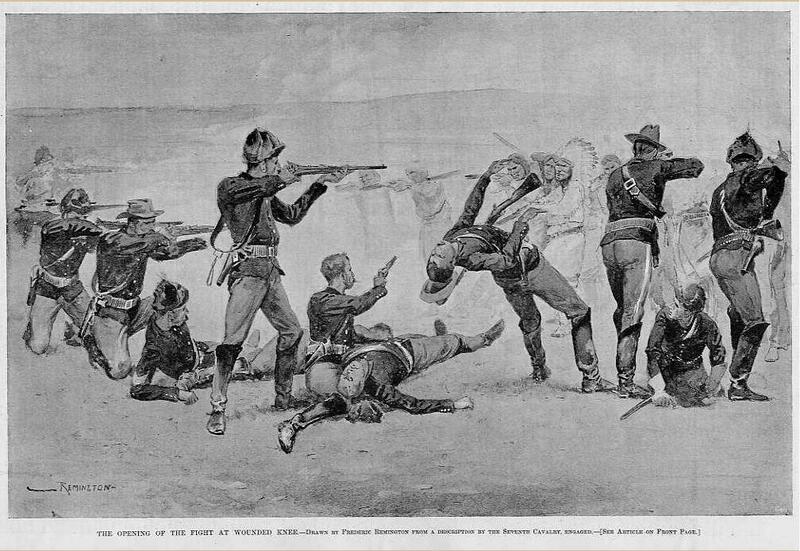 Frederic Remington, ills., “The Sioux Outbreak in South Dakota,” Harper’s Weekly, Vol. XXXV, No. 1779, January 24, 1891, 65. William Fitch Kelley, Pine Ridge, 1890: An Eye Witness Account of the Events Surrounding the Fighting at Wounded Knee, (San Francisco: Pierre Bovis, 1971), 251. 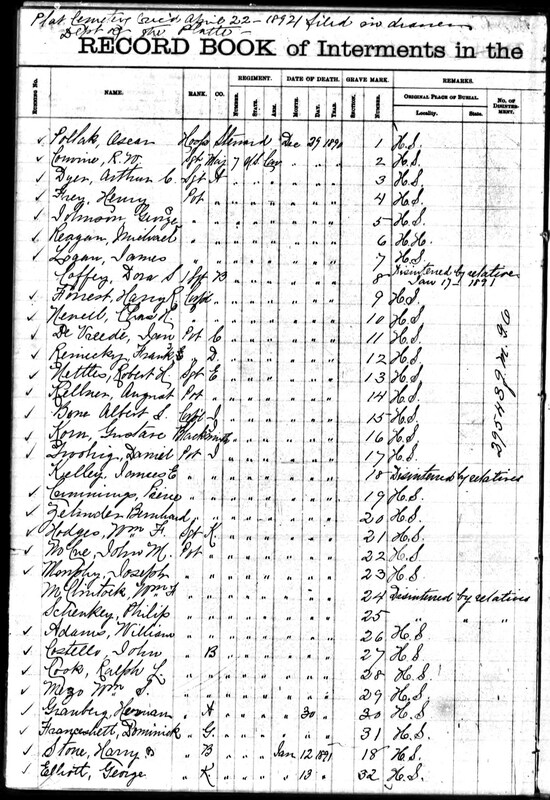 Burial Registers for Military Posts, Camps, and Stations, 1768-1921, (National Archives Microfilm Publication M2014, 1 roll). “A Funeral Without A Salute,” Evening Star, (Washington, D.C.) January 24, 1891, Page 13, Image 13, http://chroniclingamerica.loc.gov/lccn/sn83045462/1891-01-24/ed-1/seq-13/ accessed 4 Nov 2013. Ancestry.com, Michigan, Births and Christenings Index, 1867-1911 [database on-line], Provo, UT, USA: Ancestry.com Operations, Inc., 2011, FHL Film Number: 1017867; Henry F. Thomas, A Twentieth Century History of Allegan County, Michigan, (Chicago: The Lewis Publishing Company, 1907), 300-302; National Park Service, U.S. Civil War Soldiers, 1861-1865 [database on-line], Provo, UT, USA: Ancestry.com Operations Inc, 2007, Film Number: M545 roll 4; Ancestry.com and The Church of Jesus Christ of Latter-day Saints, 1880 United States Federal Census [database on-line], Year: 1880, Census Place: Hopkins, Allegan, Michigan, Roll: 569, Family History Film: 1254569, Page: 201C, Enumeration District: 011, Image: 0405; Ancestry.com, Michigan, Deaths and Burials Index, 1867-1995 [database on-line], Provo, UT, USA: Ancestry.com Operations, Inc., 2011, FHL Film Number: 1017873 and 2110083. Ancestry.com, U.S. Army, Register of Enlistments, 1798-1914 [database on-line], Provo, UT, USA: Ancestry.com Operations Inc, 2007, Record Year Range: 1885-1890, Surname Letter Range: L-Z, Image: 454, Line: 198. 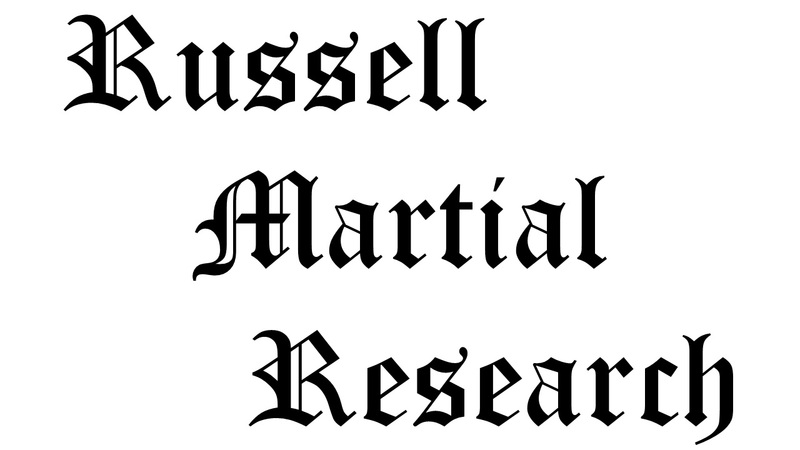 National Archives and Records Administration, Burial Registers of Military Posts and National Cemeteries, compiled ca. 1862-ca. 1960, Archive Number: 44778151, Series: A1 627, Record Group Title: Records of the Office of the Quartermaster General, 1774-1985, Record Group Number: 92. Jana Mitchell, photo., “Pvt Harry B Stone,” FindAGrave, http://www.findagrave.com/cgi-bin/fg.cgi?page=gr&GRid=34715371 accessed 1 Jan 2014. This entry was posted in Casualties, Enlisted and tagged 1890, 1891, 7th Cavalry, 7th Cavalry Regiment (United States), Big Foot, Cavalry, Died of Wounds, Fort Riley, ghost dance, Lakota, Miniconjou, Oglala Lakota, Pine Ridge, Pine Ridge Agency, Pine Ridge Indian Reservation, Sioux, Wounded Knee, Wounded Knee Creek, Wounded Knee Massacre. Bookmark the permalink. Col. Russell, Please pardon me dropping this in the first post I came to, but… I’ve encountered a headstone, here in the Shenandoah Valley, which credits this person, J. Ridgely Dix/Dicks, with being at Wounded Knee, but also cites his service with Co. E, 18th USV. I’ve very much a novice on Wounded Knee, but as I understand it, the 18th wasn’t there, were they? Looks like you have most of this data: James R. Dix enlisted in the Army for five years on 3 Feb 1888 at a Post near Donner, Colorado. He was listed as a 21-year-old farmer born in Winchester, Virginia, with grey eyes, brown hair, and a ruddy complexion, and stood 5 feet 10 1/2 inches tall. He was assigned to E company, 18th U.S. Infantry regiment (regular, not volunteer) and was discharged 14 May 1889 at Fort Logan, Colorado, a private, Character Good. According to the pension file, his mother, Sarah J. Dix, filed on 2 Nov 1891 and his father, John M. Dix, filed on 31 May 1904. The only unit of service listed is E, 18 U.S. Inf. If he was at Wounded Knee, it was not in the capacity of a regular army soldier, as any other unit of service would be listed on the pension application, to include service under an alias. There may be an outside chance that he was a member of the Nebraska National Guard, which were called up during the campaign, but were not at Wounded Knee. Or one of the several cowboy militias that were called up during the Pine Ridge Campaign November 1890 – January 1891. I’ve written and spoke at the Hopkins Township dedication of the memorial of Harry B Stone. Please contact me at mrashs1969@hotmail.com or 7632690172.